A photograph can convey information about a particular object, place, or social issue. 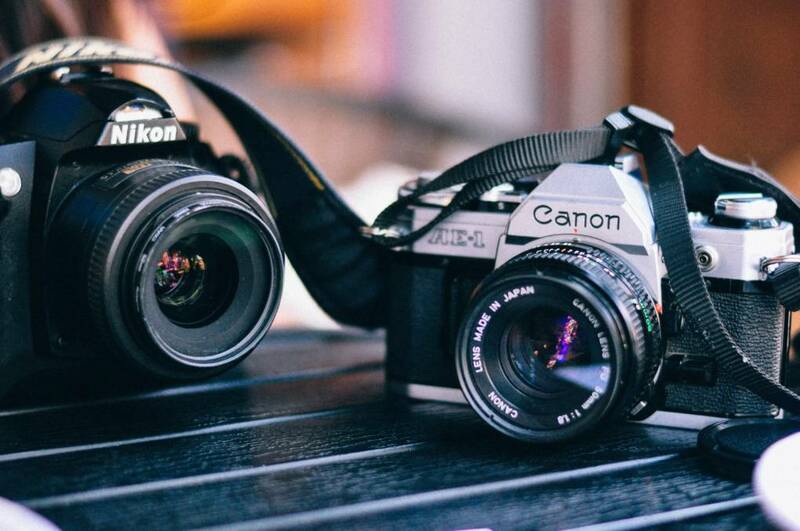 With so many different approaches to photography, the following resources offer an overview of different styles, as well as brief history of photography. For a deeper engagement, take our course, Communicating with Photography, from KQED Teach, an online professional learning platform for educators to level up their digital media skills. Bay Area-based Nigel Poor is an artist who encourages the use of photography as a way to closely examine our daily activities and interactions with commonplace objects, in order to gain a deeper understanding of who we are. In this video, Nigel offers three fun photography projects that explore this idea of documenting our personal lives. Learn about the work of Paccarik Orue, a Peruvian documentary photographer currently residing in San Francisco. Paccarik is interested in using his camera to connect with ordinary people, usually residents of low-income neighborhoods. In this video, Digitizing Film Negatives with Paccarik Orue, he guides you through the process of making digital prints from film negatives. Tom Ferentz is the artistic director and founder of the Sixth Street Photography Workshop, which he started in 1991 to make photography accessible to low-income and homeless people in San Francisco. With the help of volunteers, participants can take classes of various skill-level on a weekly basis. In this video, testimonials from students illustrate how photography has changed their lives for the better, thanks to the efforts of the workshop. For more information on the workshop, use this comprehensive educator guide. Explore the work of a distinguished American photographer Dorothea Lange who started her career with portraiture photography and later turned to document the events and people during the Great Depression. Discover the creative processes that guided Dorothea’s work. At what point does a mere snapshot of someone become a work of art? Four modern photographers discuss examples of their work that illustrate accessibility of portrait photography and its ability to communicate certain ideas or feelings. These artists share their personal stories, as well as creative experiences. According to Mexican photographer Graciela Iturbide, being an “investigator” of the world and of the people is essential for creative growth. Graciela spent a good chunk of her career photographing people in her native Mexico. Guided by her intuition, she often chooses to feature complex subjects in her work. Besides using her camera for portraits, Graciela has taken photographs of landscapes in the Southern United States. Learn more about her fascinating work in this video. Besides working for the California Air National Guard, Ed Drew also has a passion for tintype portraiture photography. Whether on a mission in Afghanistan or in the fields of a local garden project, Ed uses his camera to connect with people he encounters. Learn more about Ed’s work, as well as the history of tintype photography. Masha Pershay is an associate video producer for KQED Arts. Masha got her start in media production in 2009, when she joined college station KUSF as a radio host. She holds a B.A. in Broadcasting and Electronic Communication Arts from San Francisco State University and a certificate in sound recording from City College of San Francisco. In her spare time, she's an avid record collector and a DJ in San Francisco's Italo disco DJ collective Galaxy Radio. Prev Enhanced Learning through Augmented Reality and Movie Making Next Should Teens Cut Down on the Use of Sports Drinks?